We anonymously measure your use of this website to improve your experience. Would you like to know more? Facebook, Twitter and other social networking sites require cookies to function normally. Would you like to know more? Some cookies on this website are strictly necessary and cannot be disabled. Would you like to know more? Exclusively for Zlatarna Celje, the central bank of Cook Islands issued a unique 1 ounce silver coin Tina Maze which contains a fragment of her skis with which she won the world championsip in giant slalom in the year 2011. The silver coin is a novelty in the world of modern numismatics and in the world of sport. The back side of the silver coins features an image of Queen Elizabeth II and the nominal value of the issuing country – Cook Islands (5 dollars). 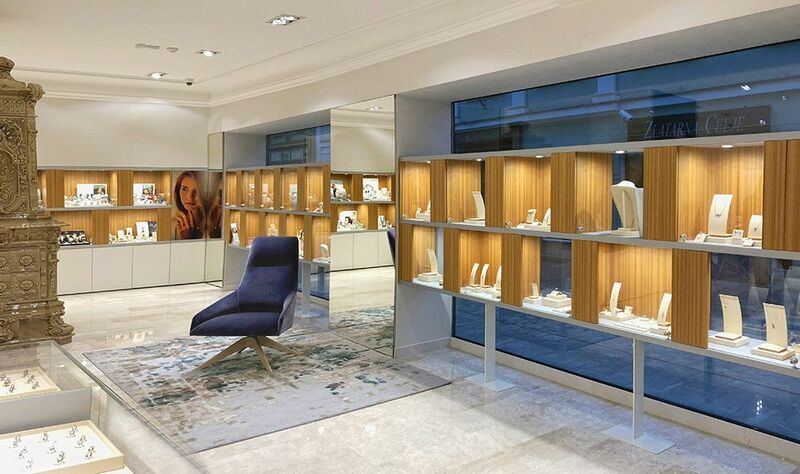 Zlatarna Celje, with the silver coin Tina Maze, upgrades a successful project of silver jewlery that has been running for several years, Lencia by Tina Maze. Silver coin is produced in a limited edition of 2500 pieces. Zlatarna Celje boasts a long tradition that dates all the way back to 1844. This number is not only relevant for our company – it is also the number of World Cup points won to date by our most successful skier, Tina Maze, with whom we have been collaborating for several years. Our warmest congratulations to Tina Maze. A new collection by Tina Maze, currently Slovenia’s most successful skier, is coming to our shops. 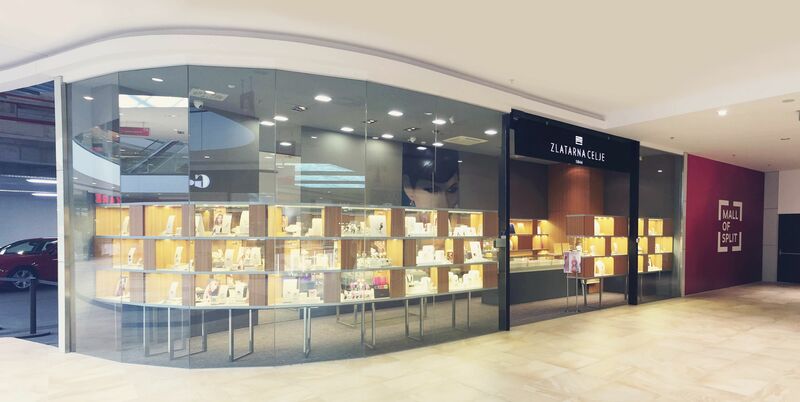 At Zlatarna Celje, we have already achieved great success in working with Tina Maze, creating high quality silver jewellery and making Tina a winner in the world of fashion as well as in the world of sports. The four past collections of designs by Tina Maze are now joined by two brand new collections, created by Tina in collaboration with Zlatarna Celje and inspired by the spirit of victory. The Triumph collection is symbolic of celebrating victories – something that is very familiar to Tina. The prestigious nature of the ring is emphasised by four magnificent black spinels. The ring also bears Tina Maze’s engraved autograph. The SUPER G collection by Tina Maze was inspired by skiing in name as well as in the design, which symbolises the tracks left in the snow by our finest skier. The jewellery in this collection is decorated with cubic zirconia; the necklace is given added value by Tina Maze’s engraved autograph. The Zlatarna Celje team wishes our skier Tina plenty more success in future! Tina Maze has recently captivated us not only with her superb opening of the ski season but also with a new jewellery collection, Secret by Tina Maze. The jewellery is distinguished by simple shapes enhanced by original details that draw inspiration from nature; most importantly, the collection is imbued with Tina's unique winning spirit. The combination of a frosted leaf and a Swarovski crystal in a mysterious shade of green will give any woman a touch of dreamy, fairylike character and just the right amount of feminine determination. The collection comprises earrings, a necklace and a ring. Each piece of jewellery is engraved with Tina's handwritten signature. The new collection Lencia by Tina Maze will be in our stores by the end of this week. In cooperation with one of the most successful skiers Tina Maze, we have once again designed a new collection of Lencia by Tina Maze. 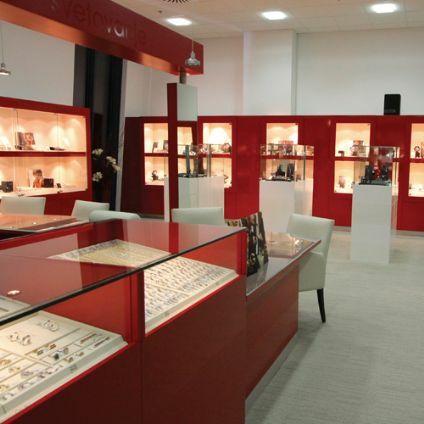 We invite you to our stores to see for yourself what a winning collection is like. Be one with her and wear her jewellery, so you can also be a winner. You are invited. The Lencia team would like to congratulate Tina Maze, one of our most successful skiers, on her exceptional success. Tina Maze has reached for the highest step at the Olympic Games with her unstoppable tempo and desire for success. With her boomingly designed line of silver jewellery Lencia by Tina Maze and the silver medal won, she has started the year 2010 with great success. We wish her even more success, both in skiing and in fashion. In the company Zlatarna Celje we have in the past year created a line of fashionable and attractive jewellery with our finest female skier. The successfulness of the collection Lencia by Tina Maze has far surpassed all our expectations. The project, which is based on mutual cooperation, proved as extremely successful. Tina Maze gives us all her support as we also extend our full support to her. We could only wish for more such successful projects. Our story on the cooperation with one of our most successful skiers is more than success. The expectations that we have set have been exceeded and the initial collaboration has turned into a long-term designed project. So far, we have developed a total of eight successful collections, all with the help of Tina, who with her proposals helped in the design of each collection separately. Each collection is enriched with engraved handwritten signature of Tina Maze, adding particular value to the jewellery. Are you inspired by our collections? 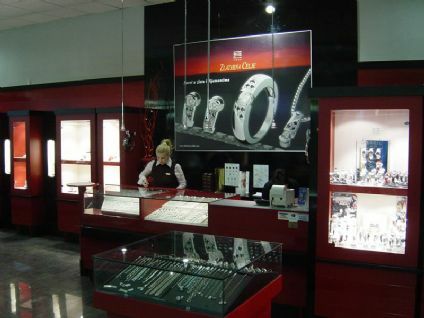 Are you interested in cooperation with company whose core strengths are tradition, attractive design, own production and the related high quality of the product? Fill out the fields below and we will contact you. For which country are you interested in? Dovoljujem, da sme Zlatarna Celje, d.o.o., moje zgoraj navedene osebne podatke uporabljati in obdelovati za namen pisnega obveščanja o svojih storitvah ali produktih, posebnih ponudbah, akcijah, novostih, nagradnih igrah, mojim navadam prilagojenih ponudbah ter drugih marketinških aktivnostih ter za namen osebnih povabil na modne revije, razstave nakita, medijske ali druge dogodke ter otvoritve novih prodajaln. Potrjujem, da so posredovani podatki točni in ažurni. Moje osebne podatke lahko Zlatarna Celje, d. o. o. uporablja do preklica mojega soglasja.